From the Shadows: On the Soul of a Vampire Giveaway Winner! 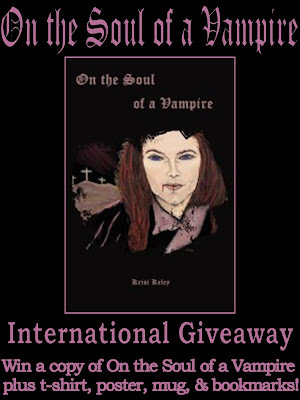 Congratulations to our On the Soul of a Vampire Giveaway winner Kim van Aken of Kim's Bookish Place! 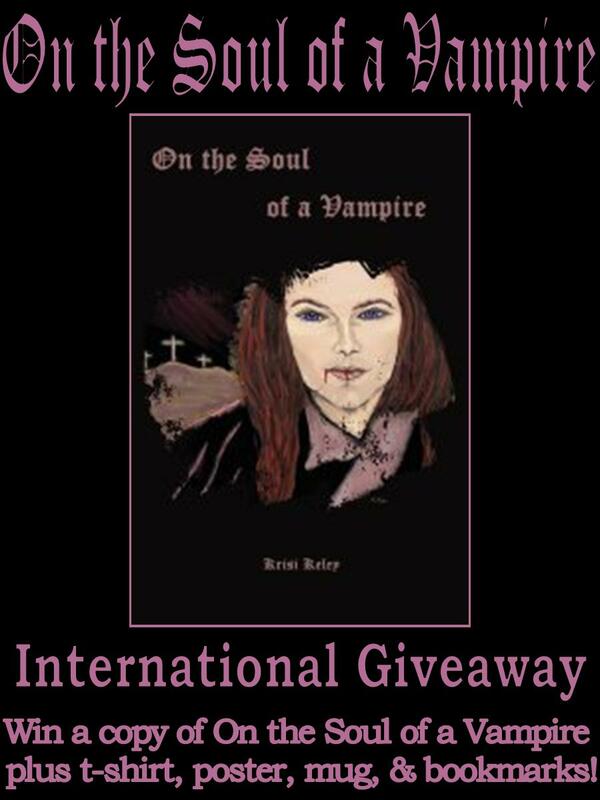 Kim is the lucky winner of a copy of On the Soul of a Vampire by Krisi Keley, and a t-shirt, mug, poster, and bookmarks featuring the beautifully haunting On the Soul of a Vampire artwork. I would also like to thank the over 400 entrants in each of my Halloween Monster Giveaways! Over 800 total entries, wow! Since the two Halloween Monster Giveaways here at From the Shadows involve multiple winners with a huge number of prizes, I will be drawing winners throughout the week and posting the winners next weekend. All From the Shadows giveaway winners are also notified directly by email. Thank you for your patience! Congratulations, Kim! Thank you so much for your interest in reading On the Soul of a Vampire. I hope you enjoy the story and prizes! Thank you, E.J., for the invitation to be part of your great Halloween giveaways and guest author on your wonderful paranormal blog! All the best to you and your readers! Thanks Krisi and E.J! Jeej I'm so happy over here!! !